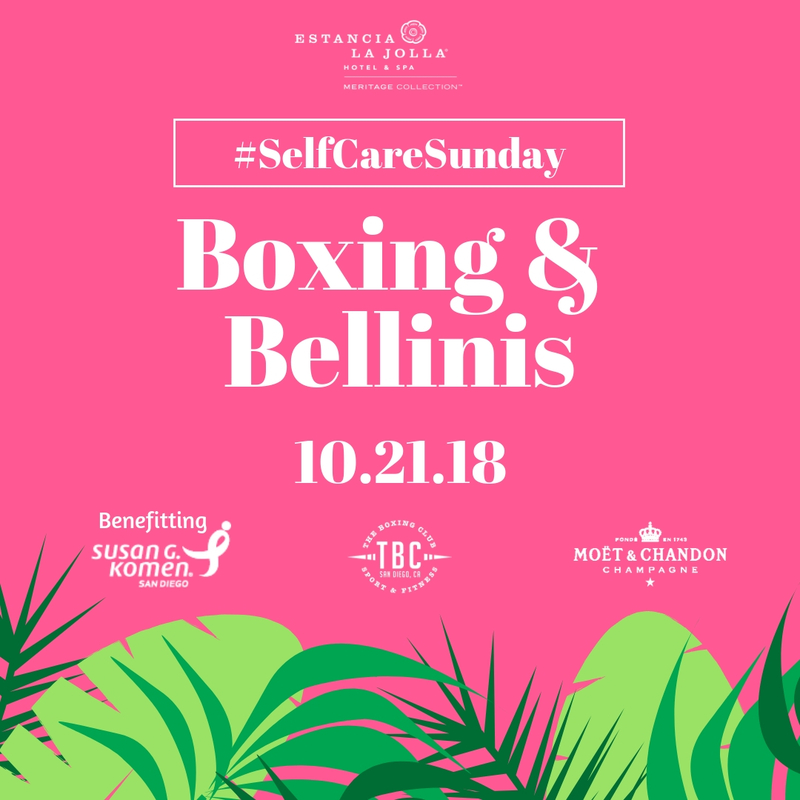 In Honor of Breast Cancer Awareness month, this #SelfCareSunday event will include a boxing class taught by The Boxing Club Sport & Fitness Garden Courtyard. This “fight” against cancer event will donate $2 of every ticket sold to Susan G. Komen San Diego. After class, enjoy complimentary Bellini's with Moet & Chandon champagne, superfood tapas, mini spa services, a pool day pass, plus the chance to win complimentary spa services, one night stay at Estancia, and retail products. The ticket price also includes a pool day pass to soak up the sun after class at Estancia La Jolla and complimentary valet parking. Registration opens at 11:30AM and the boxing class will start at 12PM. Please note that this fitness class is taught outdoors, so hats are advised and the Estancia Spa will have sunscreen available. Feel free to bring your own yoga mat for part of the class. If you are going to use our pool after the class, please bring a bathing suit.